Rafael Gonzalez leads out, sees Jeffrey DePaulo move all in for about 100k, then has Harry Arutyunyun go over-the-top all in for about 160k. Gonzalez - who has a 2nd and a 3rd place finish here in recent $250,000 GTD Monolith tourneys - has both players covered but says he's afraid someone has Aces, then he steps back to the rail and announces a call. 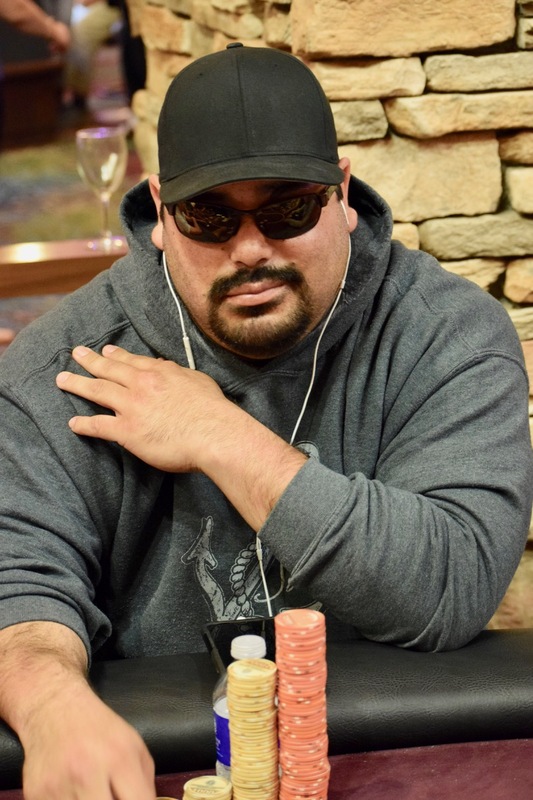 there's a King in the window, the case King, Gonzalez flops a set ... no ace on the turn or river and he gets a double-elimination, moving to more than 500,000. Both players cash for $3,505.